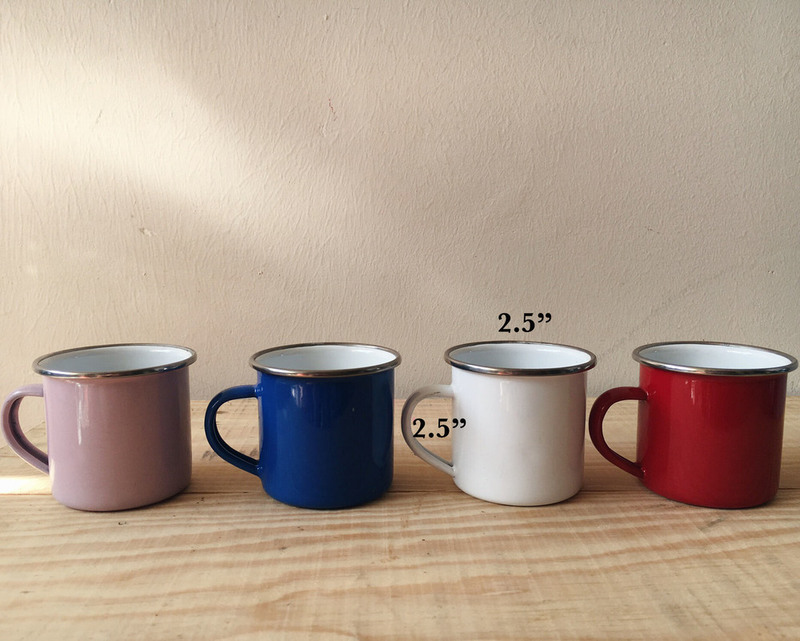 These silver rimmed enamel cups are the descendants of the old school yellow enamel mugs. New and improved with a nicer variety of colours, these cups add touches of cuteness to any parties with its bright colours! Comes in a set of four, each cup measures 2.5" x 2.5".